As Head Coach & Co-Founder of Evolving Physiques, HILAL HUSSEYIN trains 7 days a week - ‘for lifestyle, for strength, for self love, for self empowerment, for expression, for confidence, for credibility’. 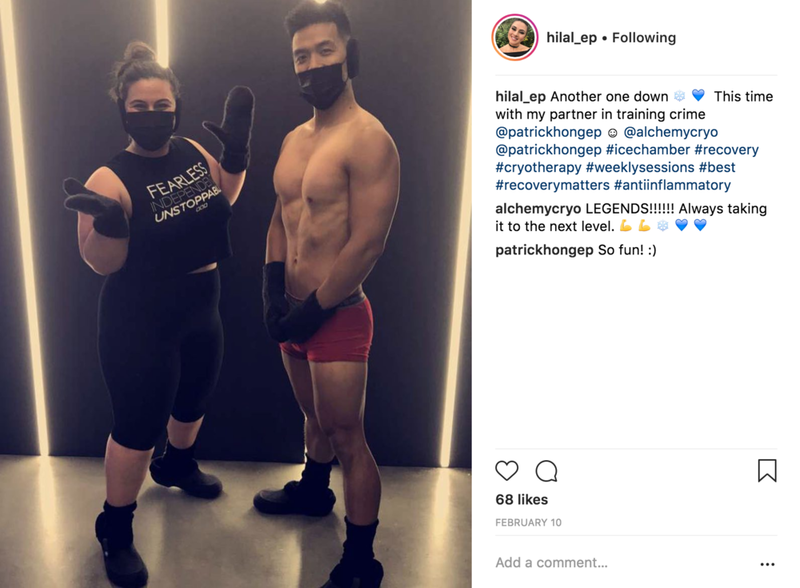 Now, she reflects on her first Alchemy Cryo memory and how she recently experienced: 7 days of Whole Body Cryotherapy - including a Double Session plus a mild Hyperbaric Oxygen Therapy (mHBOT) Session. I was nervous but sooo curious, all I knew was that I was about to step into -110°C with 80% of my body completely exposed. I remember opening the door for the first chamber and feeling this instant cold air thinking this is not too bad, then suddenly I hear “open door to the next chamber”, I thought here goes, I counted to 3 and then I remember holding my breath like I was about to jump into a pool or something, I stepped inside and It was cold, real cold! At first I had trouble breathing but I remember looking at Nitel and her visually cueing me to breathe which helped a lot. Then the music just took over and the 2 minutes and 50 seconds was over just like that. All I remember was feeling super fresh afterwards and thought, yep I’m coming back to give this another go! I love it because I just feel like I’m re-energising by body and mind every time. I think I’m addicted to that feeling just as the door opens and you take that step outside of the chamber. For the challenge and the discipline that would come with it. I was also curious to see what the effects would be by doing consecutive days in a row. Re-energised x A LOT … my skin especially, felt incredible! FANTASTIC! It’s my favourite part of the whole 3 minutes! In terms of benefits, knowing I’ve helped improve oxygen and nutrient circulation, increase my collagen production (especially in my face, my skin is absolutely glowing), boost metabolism, promote anti-inflammatory responses and the mental clarity, feeling super energised and switched on! Mental clarity and reducing inflammation. I have no issues sleeping but I found that I had deeper sleep that night. Michael Jackson – Wanna Be Startin’ Somethin’ & The Way You Make Me Feel. For a first timer: BE PRESENT and just visualise all the healing that is happening to your mind & body. When you turn into a cryo lover just like me: BE STILL for that extra UMPH!! “OPTIMISE YOUR LIFE” FOOOOR SURE!!!! I usually have 1 coffee per day during the week, however, decided to completely eliminate all caffeine from my diet during the 7 days. Really wanted to use this commitment as a body and mind re-boot! 1st to 7th day I kept drinking my filtered water with fresh lemon and himalayan salt throughout the day, paired with organic veggies, fruits, fats and protein. My usual 7 days of training was continued: 5 days of weight training, 1 day of pilates and 1 day of hip hop dancing. Averaging between 10,000 – 12,000 steps per day. 17. Early bird or night owl? A night owl by heart that has morphed into an early bird for work purposes. 18. My favourite book(s) and/or blog(s)? The Power Of Now by Eckhart Tolle. Relentless by Tim S. Grover. 19. My favourite Podcast(s) and/or YouTube Channel(s)? I watch and listen to a lot of Anthony Robbins, Tim Ferriss, Don Tolman, Paul Chek, Charles Poliquin, Joe Rogan & Aubrey Marcus. You can find me at our home of GROWTH, STRENGTH and COURAGE, EVOLVING PHYSIQUES, which is Co-Owned and Directed by my AMAZING partner & best-friend, Patrick Hong and I. Or dancing around singing whatever comes to my heart, or watching some epic animal documentary, animals are just so fascinating or checking Will Smith’s Instagram. I LOVE WILL SMITH! 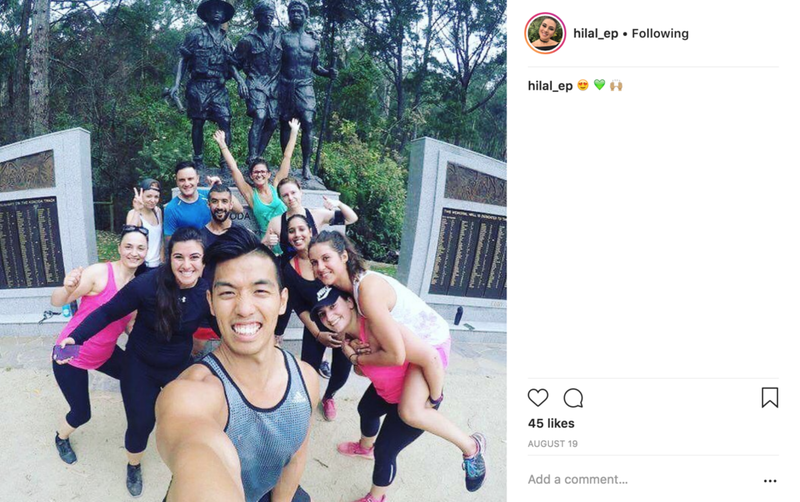 Catch HILAL HUSSEYIN on Instagram and check out her business, Evolving Physiques. Inspired to Cryo? Grab a pass HERE.